Pollutant levels are 16x safe levels. The Indian government declared an emergency situation today, closing schools and businesses for the next three days, due to polluted air 16 times more toxic than the recommended safe levels. “People should stay home as much as they can [and] work from home,” said Arvind Kejriwal, New Delhi’s Chief Minister, after announcing a ban on construction for five days. The pollution is made-made — believed to be a result of construction and demolition, burning heaps of rubbish at the Bhalswa landfill, hundreds of thousands of fireworks from Diwali, and most of all, smoke from farm fires. The smoke pollution is caused by deliberate fires from farmers who burn leftover straw after the wheat or rice harvest to prepare the land for the next season. This process, called stubble burning, is the biggest concern. 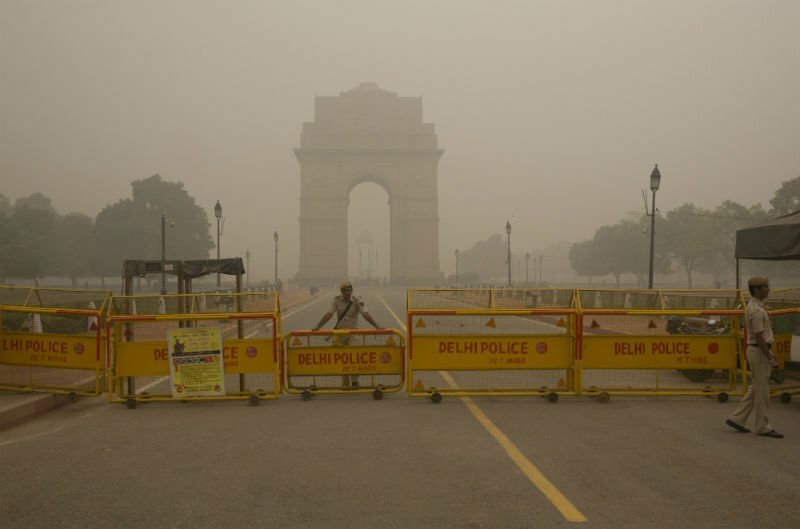 "Pollution has increased to an extent that outdoors in Delhi are resembling a gas chamber. The biggest reason seems to be burning of stubble in agricultural fields in Haryana and Punjab in huge quantity," Kejriwal said. Just two weeks after the fires began and harvest season ended, a pollutant known as particulate matter (PM) 2.5 skyrocketed to 999 — shatteringly above the safe levels of 60-100. PM2.5 is a pollutant small enough to infiltrate lungs and can cause brain and developmental damage to newborns. 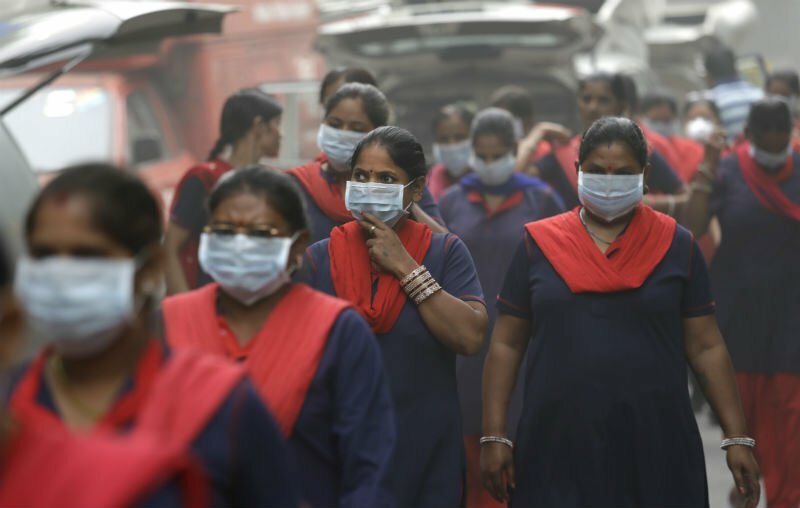 A group of Indian women wear pollution masks arrive to a protest against air pollution in New Delhi, India. While farmers are aware of the pollution, they say they have few other options. “We can’t afford to pay for the new technology ourselves,” Jaswant Singh a 53-year-old farmer told the New York Times. New technology includes a $1,900 tractor attachment that can help dispose of the leftover straw post-harvest. However, there are some solutions to combat the challenge for poor farmers and the pollution caused from stubble burning. The government can buy straw from farmers and use it for biomass energy. This process is more controlled and emits less pollutants than stubble burning. Currently, near Punjab there are six biomass power plants, and plans to expand though these are still not enough to keep up with the 20 million tons of straw the region produces each year. While millions in the city are staying inside to avoid choking on the polluted air, other individuals are turning to innovative ways to prevent stubble burning. One scientist, and leader of India’s Green Revolution, Mankombu Sambasivan (MS) Swaminathan proposes farmers combine leftover straw with molasses and urea to then use it for animal feed. This could prevent some of the 32 million tons of rice and wheat straw burned by farmers in India each year. Amidst the smoke and dangerous levels of particles of pollutants hanging in the air, there remain small bits of hope for a cleaner future.